MiGuard introduced its suite of home security and safety devices. Powered by advanced technology, the MiGuard security platform aims to make Filipino homes safer and more secure. The company offers two home security packages for a holistic service: the Basic and Premium Packages. 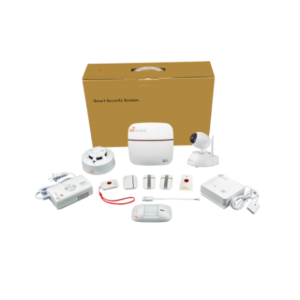 The Basic Package includes: a Panel with built-in batter and siren; an IP camera; a Temperature Reader and Humidity Detector; two Remote Controls; a PIR Motion Sensor; a Door/Window Sensor; a Medical Button; an SOS/Emergency Button; a Power Adapter; and 1 User Manual. The Basic Package comes with P23,509 price tag. Meanwhile, for P27,154, the Premium Package includes: a Panel with built-in batter and siren; an IP camera; a Temperature Reader and Humidity Detector; two Remote Controls; a PIR Motion Sensor; a Door/Window Sensor; a Medical Button; an SOS/Emergency Button; a Smoke Detector; a Gas Detector; a Water Leak Detector; a Power Adapter; and a User Manual. 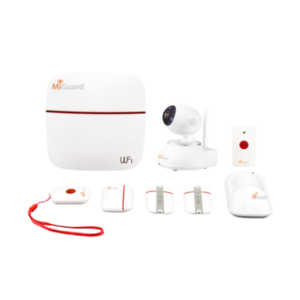 Home owners can also upgrade and augment these packages to expand their home security network because you can purchase any of the devices individually. Up to 100 devices added to your system, all of which can be wirelessly connected to and controlled by the MiGuard WiFi and GSM Console. The Console links to the MiGuard mobile application (available for both Android and iOS devices), website, and telecommunications network. For an additional monthly fee, users can also avail of the MiGuard 24/7 Command Center service. The Command Center maintains open lines to the Philippine National Police (PNP), the Bureau of Fire Protection (BFP), and public hospitals. This allows MiGuard to respond quickly and send the appropriate emergency response to your home.